If therea��s one thing Chennai loves, ita��s movies, and this summer has brought a whole bunch of interesting options with it. Between big names and re-makes, film buffs enjoyed the Australian Film Showcase at SPI Cinemas this week. 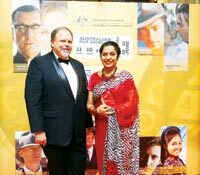 The launch evoked old school Hollywood glamour, with the Australian Consul-General hosting a red carpet gala dinner. The guest list saw quite a few cinema heavyweights, including actors Gauthami, Suhasini Mani Ratnam, and Nasser, along with Aussie cricketer Glenn McGrath, who got his fair share of attention. The evening included a few speeches, along with snippets of the films, which we enjoyed over a five-course dinner. The weekend continued to see loads of bling and reasons to dress up, with Indian Wedding Fashion at the ITC Grand Chola. There was a full range of bridal wear, with cocktail pieces from Arjun and Anjali Kapoor, reinvented drapes by Mandira Wirk and a little bit of everything from Lalit Dalmia. His signature wedding collection saw lots of volume and floor sweeping gowns. Following quickly was the launch of Akshita Garg Sparkling Jewels at Radisson Blu City Centre, with the young designer venturing out on her own. After winning more than one prestigious award this past year, her diamond jewellery now has its own address. 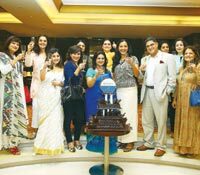 Meanwhile the Taj Hotels celebrated the relaunch of their award winning program, Taj InnerCircle a�?Reborna��, with a lavish high tea. The celebration included specially concocted beverages, themed sweet treats and surprise dining and spa experiences. Executive chef Sujan Mukherjee put together an elaborate spread of scones, cupcakes, mini sandwiches and macaroons. The ladies had a tough time saying no, so instead gave in and raised a toast to celebrate. The theme extended to the outside as well with Taj Coromandel being lit up in green. 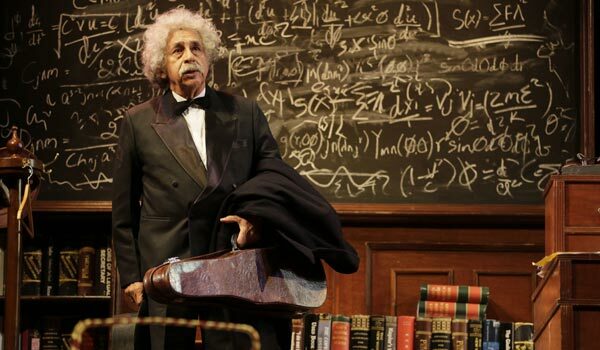 And on Sunday, Naseeruddin Shaha��s Einstein saw him introducing the scientist at 70 to a packed Music Academy. Armed with a shuffling gait and a credible German accent, he went on to present pithy observations (a�?one mana��s then is another mana��s nowa��), charming asides and sudden glimpses into the Nobel Laureatea��s life, be it his lonely childhood, his flight to the US or his friendships with royalty. Everyone from filmmaker Mani Ratnam to the citya��s noted entrepreneurs were present, hanging on to every word.